The “Journal of Engineering Sciences ” uses double-blind peer-review process (see figure on the left) according to the Review Form. Copies of the artilces received by the editors at the beginning are examined by the Editorial board to determine thier correspondence to the journal aims and scope and appointing of the reviewer. The reviewers are leading scientists all over the world of the profile related to the articles content. For the edition of the article a mandatory condition is a presence of 2 motivated pozitive reviews from appointed reviewers, which is examined and approved by the Editorial Board. If reviews are negative, motivated conclusion is being examined by the Editorial Board, which either confirms declining of publication of the artcile or sends the copy to another specialist for repeted independent review. In case of presence of both positive and negative reviews, Editorial Board sends the copy and received reviews into the comittee containing of the profile specialists to prepare a conculsion after which final decision is taken. If the review contains essential objections and proposals to improve and correct the copy it is being sent to the authors. Corrected variant of the article is returned to the reviewer to take a decision and prepare a motivated conclusion about the possibility to publish the paper. Decision about the publication of corrected paper or about sending it to additional review is taken by the Editorial Board. In case the paper is declined, the editors send to the author detailed explanation of the decline. Paper approved for the publication is sent to editing and computer shaping. Final version of the article is being agreed with the author(s) to conifrm it or correct found inaccuracies. Essential changes of the content at this stage are not allowed. If revisions of the original manuscript are required, authors will have 4 weeks (from receipt of the reviewers’ comments) to revise and re-submit their paper. For the submission of the revised article, you should send a text file containing the revised text where the changes are highlighted and a response to the reviewers’ comments in Word file. For the submission of the final version, you should upload the article text formatted according the Template, and separate image files of each figure. The preferred formats for pictures are JPEG/TIFF. Convert your vector graphics into raster format and send both of the original and raster images separately. We will check all the figures and bibliography requirements and let typesetting start only when all of them are met. The precise preparation of your final version speeds up the publication of your paper. Proofs in PDF format will be available online after the notification is sent to the corresponding author via e-mail. The proofs should be returned within 72 hours of receipt. Corrections should be restricted to minor corrections (like typesetting errors, etc.). Extensive or important changes on page proofs, including changes to the list of authors, authors’ affiliation or major changes to the title, are subject to editorial review. 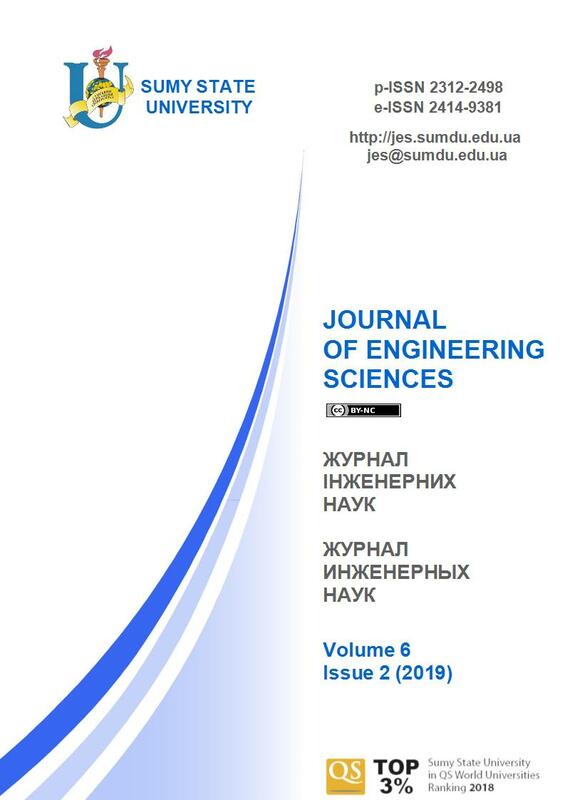 Please upload scan the corrected pages of the proofs and send us via e-mail: jes@sumdu.edu.ua.